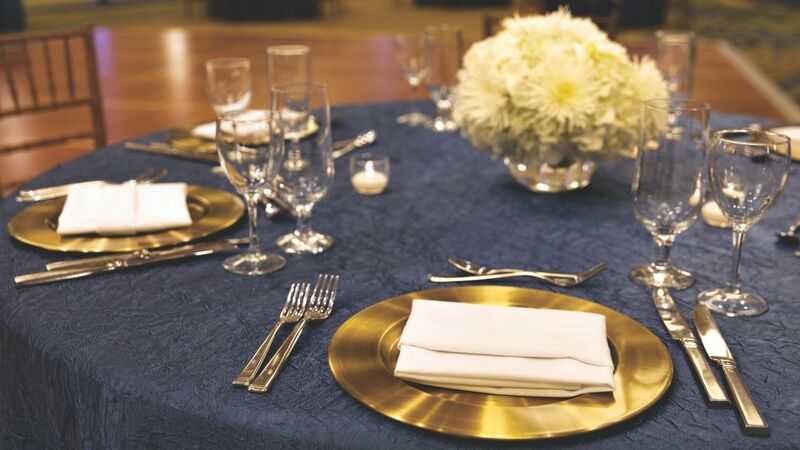 Located adjacent to Dulles International Airport, our contemporary hotel features magnificent wedding venues and banquet space where friends and families share magical moments - from the rehearsal dinner to bridal showers to the fairytale walk down the aisle. 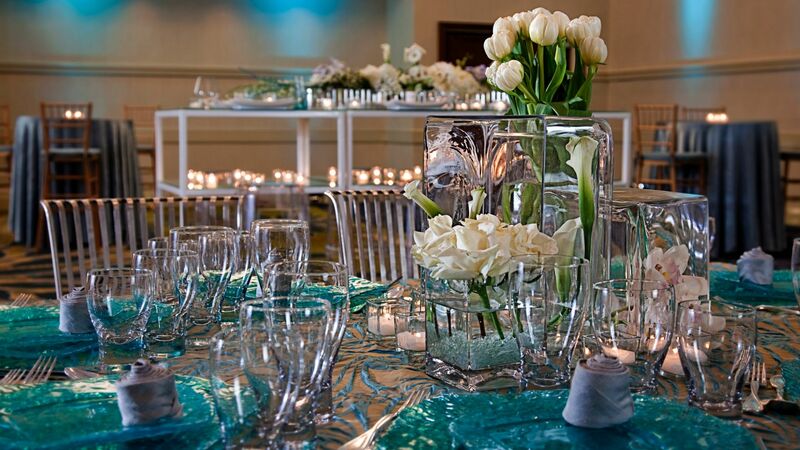 Our wedding and event planning professionals at our Northern Virginia hotel can help you bring your dream to life. Whether you are planning an intimate ceremony or large gala wedding, our celebrated chefs and catering team will work with you to create a menu to fit your size, style and theme. Pick the perfect wedding venue at our Dulles International Airport hotel that speaks to your special day. 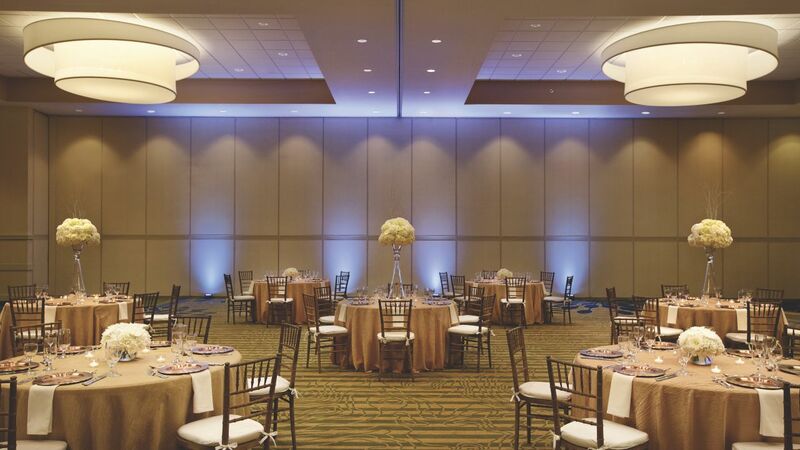 Tie the knot and walk down the aisle in the elegant Cirrus Ballroom. 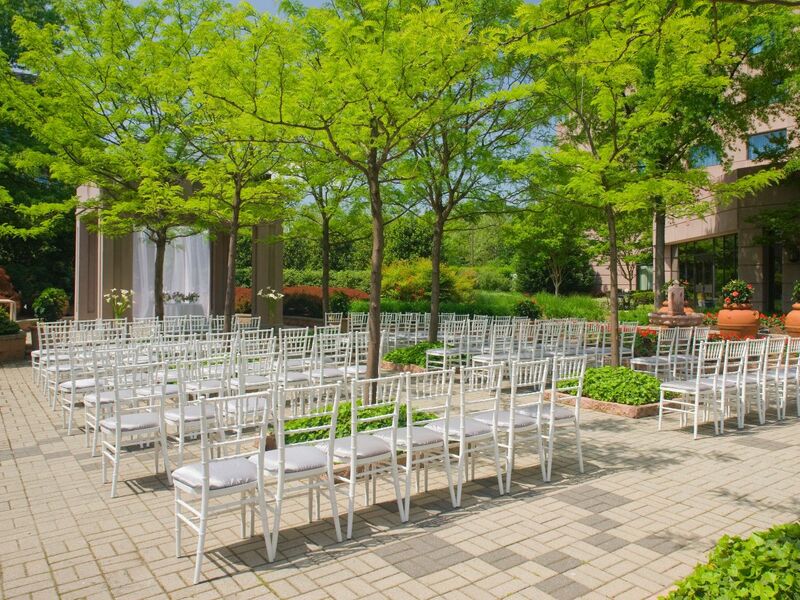 Say I do in the intimate outdoor Garden Terrace with lush florals, and a picturesque gazebo. 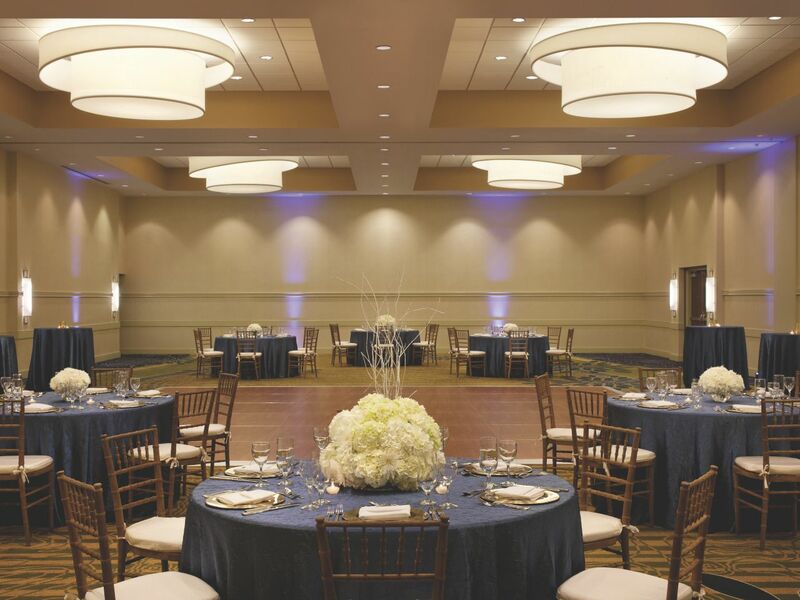 Hold a grand event at one of our two ballrooms, with chandeliers, 16 foot ceilings and modern décor. Otherwise, choose our Atrium Lobby, with a vaulted roof, stone fish pond, and floor to ceiling windows. 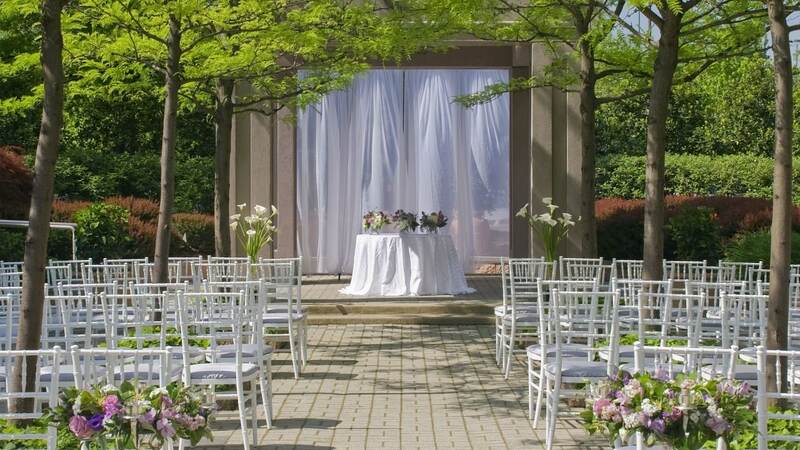 There’s not a better place for a romantic outdoor ceremony than our Garden Terrace, with lush, formal gardens, a fountain, and a picturesque gazebo coming together to form a fairytale setting. 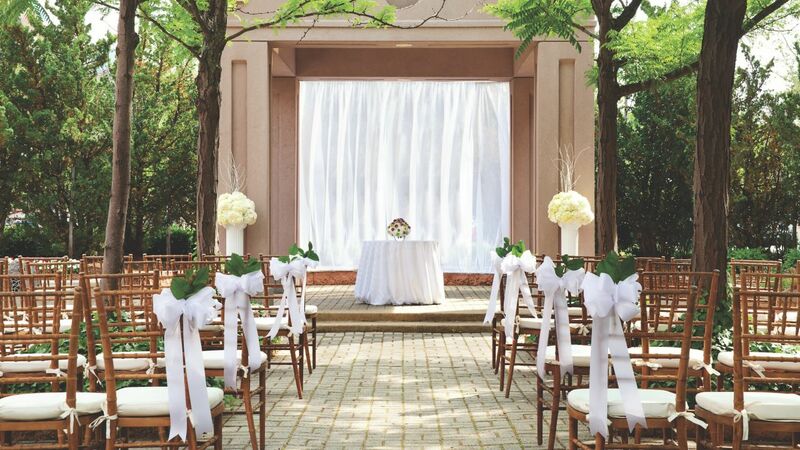 Whatever wedding you envision, Hyatt will help realize it. 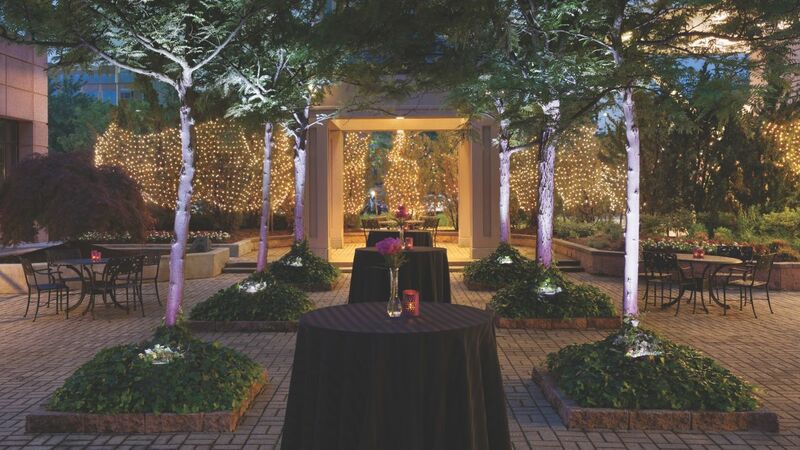 Simplify the process of planning your Northern Virginia wedding with our generous, packages. You’ll add your signature touch to important aspects while we take care of the basics, so your wedding is perfect with less hassle. You choose the centerpieces, catering and venue, all included in the package. 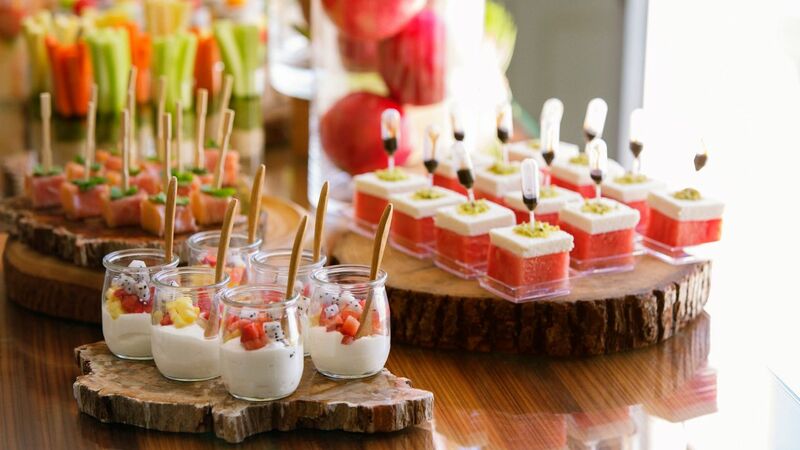 For catering, you can select a plated meal or lavish buffet, as well as Hyatt’s unique Personal Preference Dining. Ask your personal wedding consultant about other personalized amenities. Your contract pricing will not include all taxes and service charges. Please remember, pricing is not final until a signed contract is returned to your wedding specialist. Can I host a morning-after brunch or a rehearsal dinner at the hotel?